We are happy to announce a totally new product in our portfolio of civil engineering programs. The program name is AmQuake, and it is a result of a close cooperation with the company Wienerberger, major European manufacturer of masonry systems. The program will help engineers to design safe masonry buildings in the seismic regions of Europe. This development was initiated by the introduction of Eurocode 6 and 8 in Europe. These standards will become mandatory in the European Union starting from March 2010, and they will enforce strong rules for masonry buildings in seismic regions. 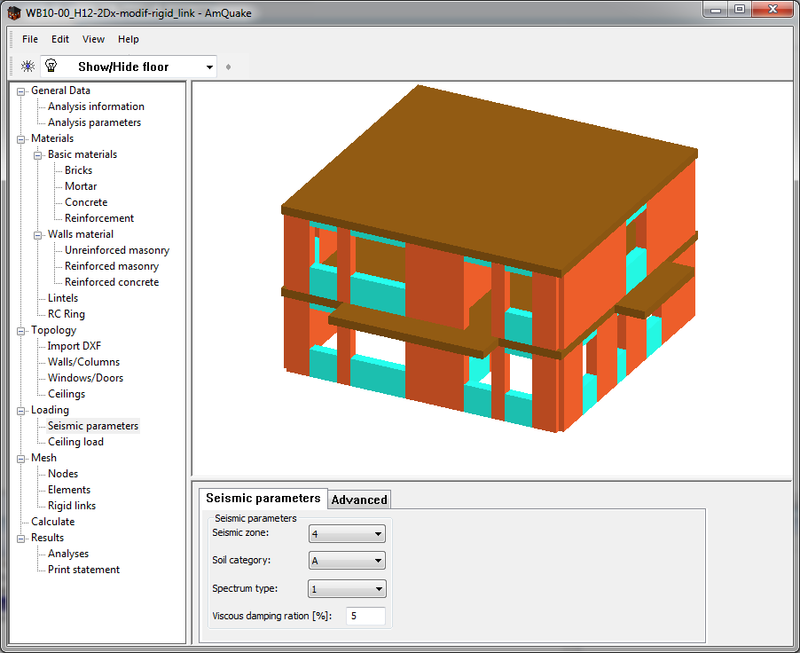 AmQuake is using pushover analysis and the equivalent frame method to check the seismic safety of masonry buildings in a graphical user friendly environment. The official release is expected in March 2010. The program will be localized into 10 European versions. The following screenshots give you a preview of the program look and functionality.